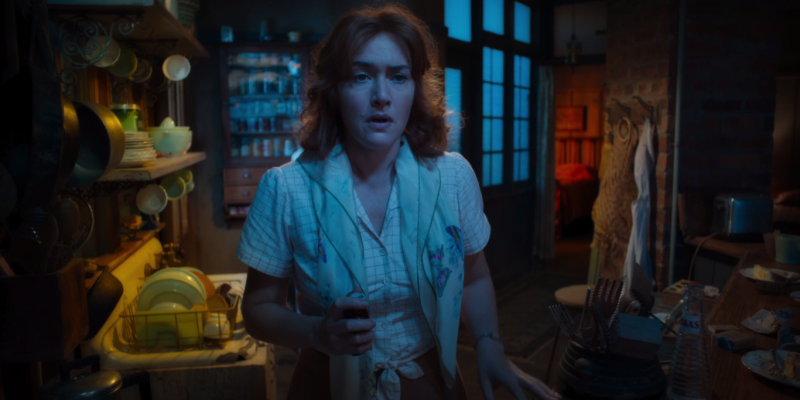 On Coney Island in the 1950s, former actress Ginny (Kate Winslet) works as a waitress at Ruby’s Clam Shack whilst her alcoholic husband Humpty (Jim Belushi) operates the carousel at the fairground and her young son Richie (Jack Gore) enjoys setting fires. Ginny begins an illicit affair with Mickey (Justin Timberlake), a lifeguard with literary aspirations, but when Carolina (Juno Temple), Humpty’s daughter from a previous marriage, arrives on the run from her gangster husband and also catches Mickey’s eye, things get a little complicated. For 2019 I’ve been trying to be a generally more positive person, so far with limited success, and in doing so I’m attempting to find more positive aspects to point out in films, especially those I haven’t overly enjoyed. This may explain why it’s taken me a little while to get to this review, as Wonder Wheel is really, really not great. Like, it feels intentionally bad, as though the cast and crew set out to make something so awkward and self indulgent that it could be used in a class for how not to make compelling cinema. And this is me trying to be positive. There’s a myriad of issues, so we’ll tackle them one at a time. First up, the cast. I’m obviously only watching this to cross another Winslet film off her ever-expanding filmography, and she’s solid here, as expected, doing what she can with a frankly terrible script. Juno Temple is also fine, if a little underused. Timberlake cranks up the earnestness to an unbearable degree, meaning if in the final act it was revealed that he’d been a serial killer this whole time, I wouldn’t have been overly surprised. And then of course there’s Jim Belushi. Belushi is immediately not good. 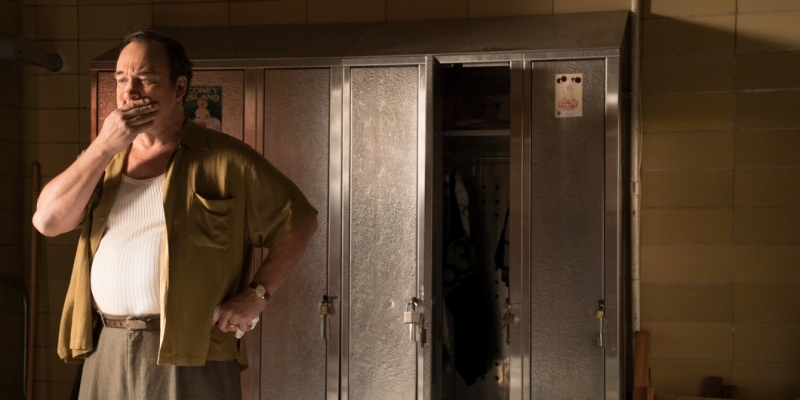 It’s a shame, because you can see he’s really trying to do some proper, serious acting – nary a comedic beat is thrown his way – but he just can’t cut it. He’s also really over-emoting, as are many of the cast – but I think this was a directional decision, as much of the film feels like a stage production, so it makes sense for the actors to be playing for the cheap seats. This play-like feeling is exacerbated by the nature of the scenes, with many primarily involving just two actors in one static, unedited location, with other players dropping in and out as the scene requires. Hell, Timberlake even narrates the story straight to camera, yet still referring to himself as a character in his own tale and voicing his own misgivings (“My flaw is I’m too romantic a character.”) It’s this kind of navel-gazing that is unbearably irritating. Mimicking the structure and style of a play isn’t always a bad things, but different media function in different ways, so with a play you’re entranced by the shared atmosphere, the ingenuity of the set design, the enthralling nature of live performances, the knowledge that what you’re experiencing is the byproduct of dozens of experts working seamlessly as a team in front of your very eyes. With a film, however, everything is expected to be a little more polished, more dynamic, overall just less stage-y, but here it feels clunky and halting, like a carnival ride in dire need of greasing. Where Woody Allen films often excel is the script, but even there Wonder Wheel leaves you wanting. Characters have a tendency to say how they feel rather than showing it, with Winslet at one point exclaiming the line “I have become consumed with jealousy!” which should really be evident without quite so much melodrama. The dialogue is often incredibly repetitive too, which might be realistic, but it doesn’t make for entertaining viewing when Humpty asks Ginny if she wants to go fishing for what feels like the tenth time in 90 minutes, especially given that she never, ever wants to go fishing. Finally, the lighting. It’s rare that I pay much attention to how scenes are lit, but the plot of this film was so dull that I found myself becoming consumed with curiosity as to the plausible location of light sources in some scenes, just to give myself something to think about rather than the soap-opera-dull lives of out starring quartet. Scenes go from all red to all blue and halfway in between like it was shot by Steven Soderbergh using a spinning wheel of tinted lenses. It’s beyond distracting. It’s a sad state of affairs when literally the only positive points I can draw from a film are it reunited two Sopranos cast members, Tony Sirico (Paulie Walnuts) and Steve Schirripa (Bobby Baccalieri), for a couple of brief scenes, and that it’s not Movie 43, which remains Winslet’s worst film to date, although this might just be a close second. 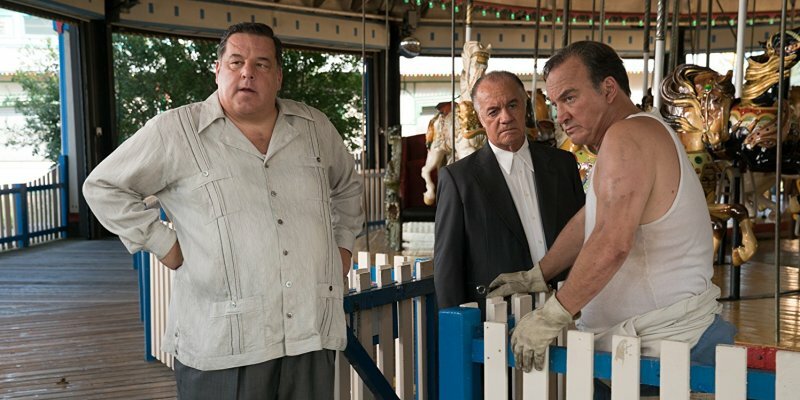 This entry was posted in 02/10, Choose Life, Film-Makers, Kate Winslet, Review and tagged David Krumholtz, Debi Mazar, Jack Gore, Jim Belushi, Juno Temple, Justin Timberlake, Kate Winslet, Max Casella, Steve Schirripa, Tony Sirico, Wonder Wheel, Woody Allen by jaycluitt. Bookmark the permalink. Thanks, Rob. There were a couple of moments where I literally guffawed at the ridiculousness of what I was watching, easily one of the worst films I’ve seen in a while.